Passengers could be priced out of travelling on Scotland’s railways when peak fares increase 3.2% next year, Scottish Labour have warned. ScotRail’s regulated peak fares will go up 3.2% in January, capped at the level of the Retail price Index (RPI), while its regulated off peak fares will rise 2.2%. Scottish Labour said some season ticket holders will see the cost of their passes rise by more than £100. The price of an annual Lockerbie to Edinburgh fare will go up £162 to £5,250 while a Glasgow to Edinburgh pass will go up £126 to £4,082, according to the party’s analysis. Scottish Labour’s Rural Economy and Connectivity spokesman Colin Smyth, said the fare rise will “cripple” commuters. He said: “This rail fare rise is unwanted, unwelcome and unnecessary. “It is simply wrong for commuters to have to pay more for train services which are plagued by delays, cancellations and stop-skipping. The Scottish Government said almost 97 million passenger journeys were made in 2017 and £8 billion has been invested over the past decade to enhance the network. Transport Secretary Michael Matheson said: “The Scottish Government recognises that fares increases are unwelcome. That is why we have taken action to minimise these: regulated ScotRail peak fares increases are capped at the level of the Retail Price Index (RPI) and regulated off-peak fares at one per cent lower than inflation. “This means, in Scotland, average fares increases are lower than England and Wales where the UK Government applies an increase equivalent to RPI to all regulated fares. “ScotRail’s Price Promise Scheme also ensures passengers have access to information on best value fares and refunds are issued where a cheaper alternative can be found. Scottish Greens transport spokesman John Finnie MSP said: “While it’s welcome that the increase in Scotland won’t be as eye-watering as in England, rail users still deserve better value for money. 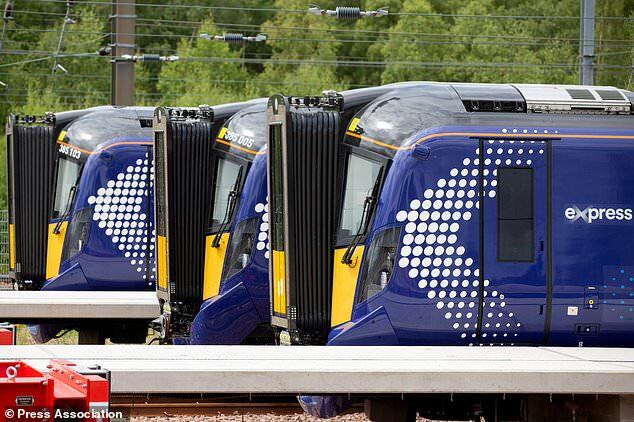 Jamie Greene MSP, Scottish Conservative transport spokesman said: “For too long users of Scotland’s railways have had to endure packed train carriages and regular delays.